We look at why you shouldn’t be too quick to turn your nose up at dark chocolate this Easter. 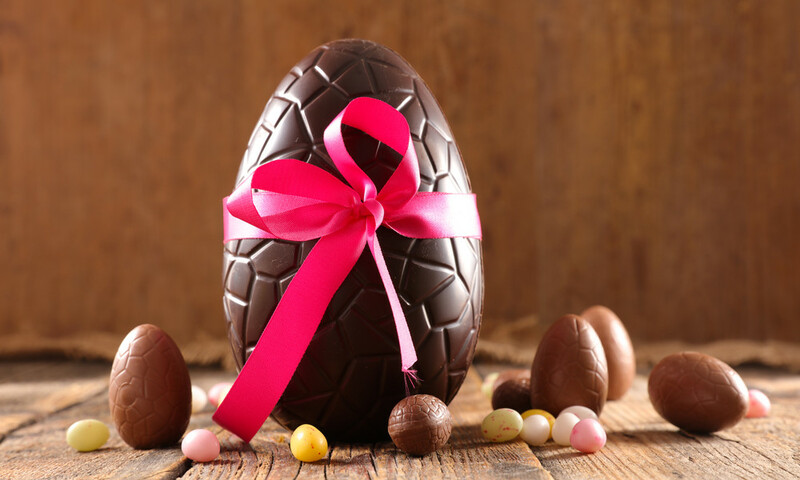 Consider buying a dark chocolate easter egg and reap the health benefits. Dark chocolate is naturally more high in essential minerals such as magnesium, zinc and iron, and antioxidants as well as a higher cacao content. This means less sugar than normal milk chocolate. Dark chocolate could be the answer to neutralising free radicals and preventing oxidative stress within the body. Oxidative stress is how much damage excess amounts of free radicals inflict on cells and tissues in the body. It also determines how quickly the natural ageing process accelerates. This Oxidative stress may also contribute to heart disease, diabetes, cancer, alzheimer’s disease and parkinsons. So eating dark chocolate, could be the natural medicine that helps prevent all of these in the first place. Flavanol is the key antioxidant that prevents heart disease and high blood pressure. They work in a way that stimulates nitric oxide which helps blood flow more easily through vessels. Dark chocolate could also lower cholesterol and inflammation within the body. The anti-inflammatory effect of dark chocolate helps the natural immune system do its job. Chronic inflammation can trigger arthritis, diabetes and even cancer, but because dark chocolate (not milk chocolate!) has an ability to control the activity of genes that regulate the immune system, it has many positive health benefits. For patients that suffer from insulin resistance, leading to type 2 diabetes, eating dark chocolate can reduce this resistance. Too much dark chocolate, like any chocolate contains saturated fats and calories, try to limit your daily intake, like you would with any food that can increase weight gain. Parkinson’s disease and Alzheimers can both be limited by incorporating 70% dark chocolate into your daily diet. The flavanols we mentioned earlier have a special ability to help your brain reorganise itself, especially when recovering from injury or disease.